After we spoke at length concerning the Airtel 4Gig for N1500 that was returned to the Airtel package, all ground went loose as alot of Airtel users bursted into kitchen celebration over the latest development. A much better news has emerged and this is the Airtel free megabytes for the freebies. This is actually not a free browsing tutorial but maybe tagged as one though. 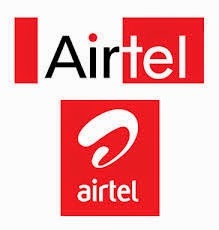 Of lately, the Airtel network has decided to reward there customers with a lot of free data plans for the Andriod, and Pc devices. We have witnessed alot transformation in the Airtel mobile telecommunication company ever since the zeal to upgrade came in. Enough of this story and lets get you into the main deal of the day. Please note that this code has been tested and confirmed working on some Airtel Sim cards. This invariably means that the codes does not work on every Airtel Sim card and i should not be blamed if your Sim card is included among the majority. You may receive an unsuccessful message and you may be lucky to receive a successful message. I did it for some few Sim cards and it worked just perfectly without any hassle; so is a thing of trial and error. To get the free 200Mb on your Airtel sim card, simply dial *141*13*200# . This has been confirmed working with aggression on some Sim. Data last upto two weeks or so. You can check data balance with *123*9#. To get the free 100Mb on your Airtel sim card, simply dial *141*13*100#. In substitution to the first option incase it does not work, simply try out the 100Mb code to see if your Sim card is fortunate enough to be blessed with some cool free megabytes. To get the free 50mb on your Airtel sim card, simply dial *141*13*50#. You can try this one if the second step did not work for you. You can check your data balance on Airtel by dialing *123*9# or *123*10# from your device. You should see a break of your balance. Were you unsuccessful or successful? tell me what you feel about this in the comment box below. I will really love to hear you speak.